The Insta360 Nano is a 360-degree camera for the iPhone. I got my order on launch day July 18 and have been testing it in “real world” conditions. Here is a review. The review will cover the following topics. 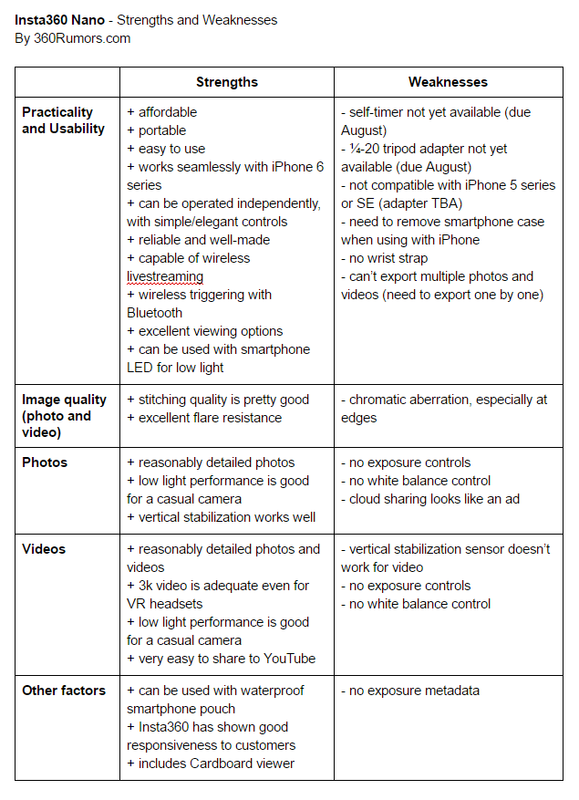 *These parts are identical to those in my preliminary review, so feel free to jump ahead if you’ve already read that. Ever since I broke the news about the Insta360 Nano in March, I had been very interested in the Insta360 Nano, much more than its big brother, the Insta360 4k. In my opinion, a 360-degree camera has to be portable, easy to use and affordable, in order for it to be adopted by the masses. 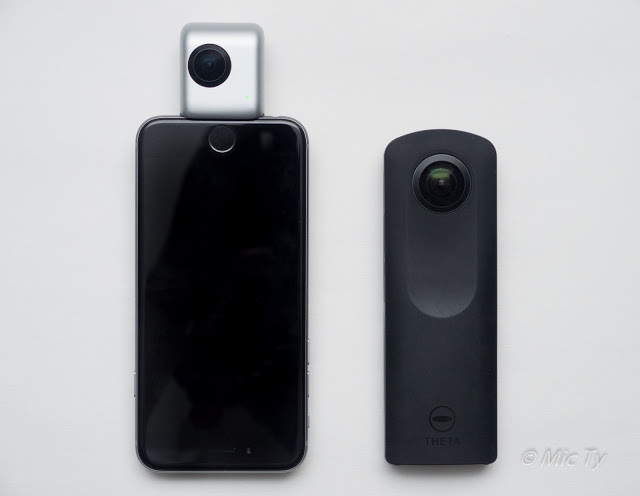 The Nano had a unique and innovative design and is the first 360-degree camera to attach to a smartphone. (Since then, some others have also been announced.) By attaching the Nano to a smartphone, it would give smartphone users a familiar touchscreen interface, and could make sharing 360 photos and videos much easier. It was going to be offered at under $200. It seemed to check all the boxes. But I was not sure what the image quality would be. 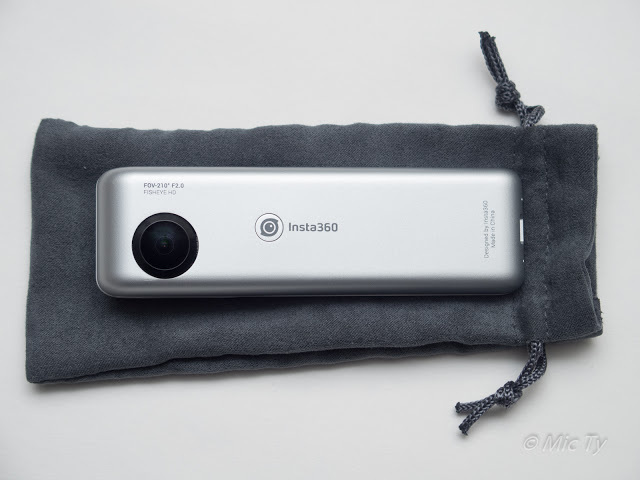 With such a small camera and at such an affordable price, I thought it would have limited image quality, especially because Insta360 already has a ‘prosumer’ grade camera. If nothing else, Insta360 had an incentive to limit the image quality to avoid cannibalizing sales of its Insta360 4k camera. In fact, Insta360’s representative was asking me if it’s only for personal use. So that diminished my expectations. Then, finally, we started seeing sample images, which were better than I expected. It seemed like a decent 360 camera for casual use, which is what I wanted and was hoping for. My initial impressions of the Nano were positive but I had some complaints. But Insta360 has shown remarkable responsiveness, and seems intent on addressing its customers’ concerns. In just one week, they have already updated the app to make the logo removable. They have also promised updates or accessories to address most of the concerns I raised. Meanwhile, I also discovered some workarounds that improved the Nano’s versatility, as you’ll see below. I thought the cloth pouch was a nice touch, although for protection, I keep the Nano inside its pouch, and inside an eyeglass hardcase. Using the box as a Cardboard viewer is clever, although there’s not enough friction in the foam-backed smartphone holder to keep it from sliding off center if you tilt your head too much. However, for users who’ve never tried Cardboard, it’s a convenient way to see for themselves. There is no included Micro SD card. Without a card, the Nano can still capture photos and videos, but only while connected to your iPhone (and further assuming your iPhone has enough space). The Nano is about the size that I expected from seeing it in photos. 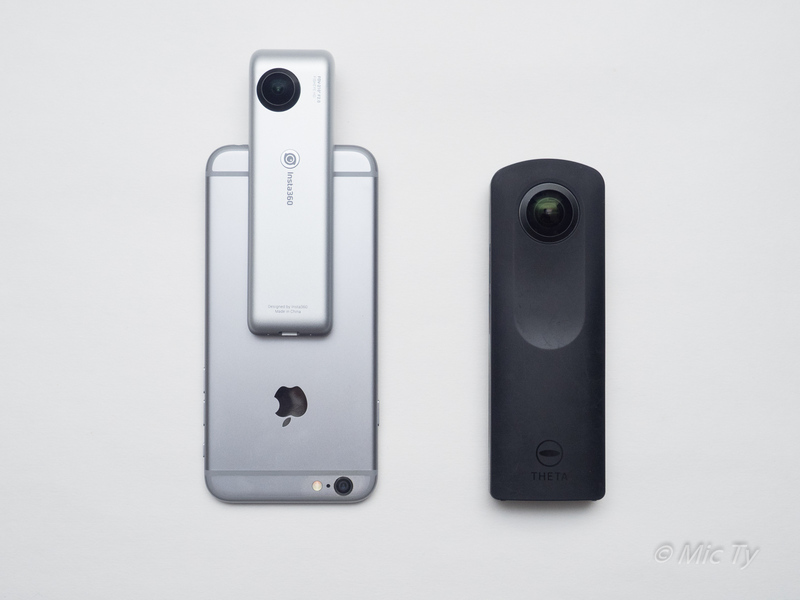 Here it is, next to the Ricoh Theta. The body is mostly plastic but of a good quality, similar to those used in other point-and-shoot cameras. The weight is about what I expected. It’s neither so light that it feels flimsy, nor does it feel heavy. When mounted on an iPhone, the phone feels noticeably heavier (and a little top heavy), but it’s not so bad that it makes the phone harder to carry. 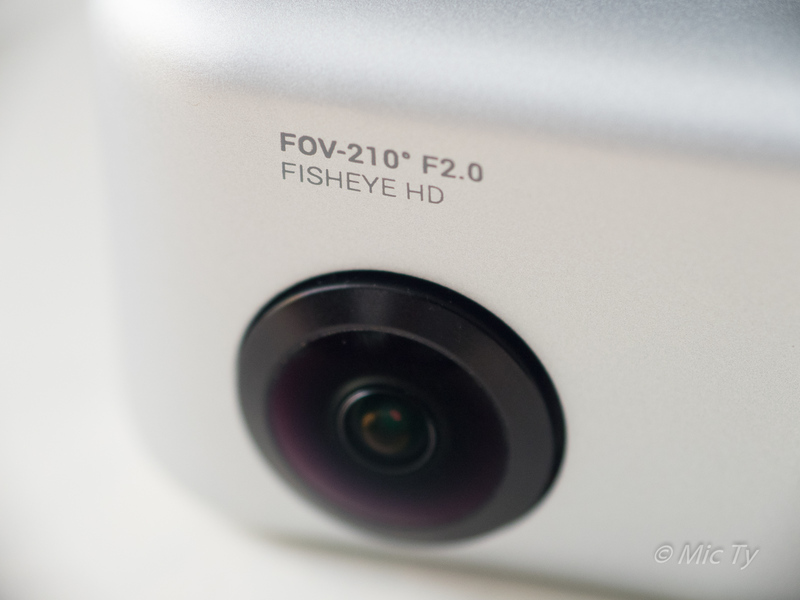 The lenses are fisheye lenses with a 210-degree view and f/2 aperture (don’t forget to remove the plastic from them). They’re slightly offset from each other. The Nano’s design is very simple. It has only one button at the back, which works as both a power button and a shutter button. At the bottom of the camera is a Micro USB port, a Micro SD card slot, and a small hole for resetting the camera using a paper clip or a pin. Note: the Nano can accommodate up to 64GB Micro SD cards. The battery is built-in and not removable. Charging is via the Micro USB port. I would have liked to have a way for attaching a wrist strap. The Insta360 Nano is compatible with the iPhone 6, 6s, 6 plus and 6s plus. It works flawlessly with my iPhone 6. I also tried using it with the iPhone SE, 5s, and other iPads. The problem is that the Nano is molded specifically for the curved edge of the iPhone 6 family. The flat edge of the iPhone SE or iPhone 5 does not allow it to physically fit with the Nano’s connector. A reader was able to use the Nano with an iPhone 5s using an Apple-certified lightning extender but he had to shave the edge of the lightning extender (to fit the Nano). Insta360 said they will produce an adapter that will allow the Nano to be used with the iPhone 5 series (including the SE). 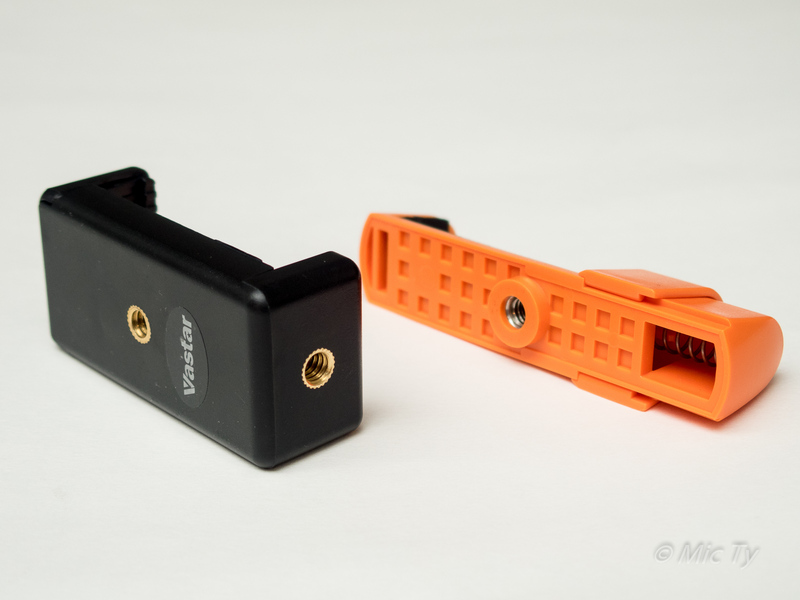 I’m hoping the adapter will also enable it to be used with a smartphone case without having to first remove the case. Meanwhile, I got a Zugu case that is easy to remove, while still being protective. I chose the Zugu because the phone screen is recessed 1.5mm, the deepest I’ve found so far for a case that’s easy to remove. 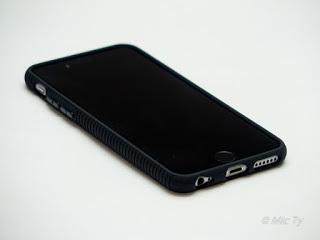 If you want maximum protection that is still relatively easy to remove, another possibility is the Otterbox Defender. The Defender’s outer cover is a softer, pliable material (even softer than that of the Zugu) that makes it easy to remove from the inner frame. You can use the Nano attached to an iPhone, or by itself. 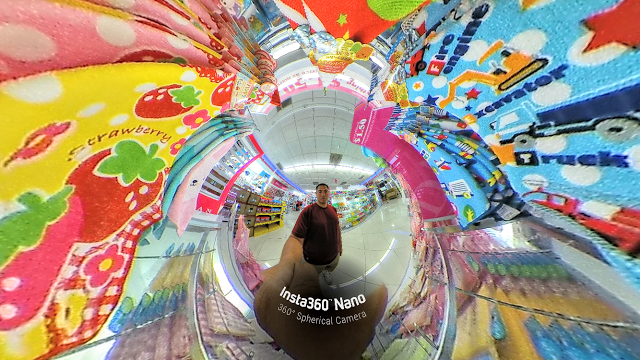 When I inserted the Insta360 Nano for the first time on my phone, it sent me to the App Store to the page for downloading the Nano software. There was a “redeem” button that prompted me to scan a QR code. The App Store couldn’t seem to scan the QR code from the Quick Start guide, so I just downloaded the free app manually from the App Store. Once the app is installed, the Nano works seamlessly with the iPhone. You just unlock your phone, and plug in the Nano. The Nano automatically turns itself on, with a blue LED light. After a couple of seconds, the blue LED light turns green which means the Nano is ready to shoot. At this point, if you’re in the home screen, the app will launch automatically (you can also launch manually if you prefer). The app will always launch upside down whether or not the Nano is connected. This is a minor inconvenience when you’re just using the app to view photos. The first time you launch the app, you will be prompted to activate the camera via the Internet. Fortunately, it is a very quick, one-button process that doesn’t require registration, or filling out forms. The live preview shows both a 360 view that you can swipe, as well as a thumbnail showing the entire equirectangular image. You’ll also see a battery indicator. The live preview works very well, with little lag. However, I noted that both the Nano and my iPhone heat up a lot after viewing a live preview image for a while, but so far they haven’t shut down from overheating, even when I was livestreaming for 20 minutes (both the Nano and the iPhone did get quite hot though). The shooting controls are rudimentary. You can switch from photo to video, and you can press the onscreen shutter to trigger it. Alternatively, you can press the volume buttons of the iPhone as a shutter, which makes your thumb less apparent in the shot. You can’t adjust exposure, white balance, or anything else. The app is currently lacking a self-timer. However, Insta360 said that they will update the app in August to add a self-timer function. See also Accessories below. Shooting video is a little unusual. Instead of just switching to video mode and simply pressing the onscreen shutter, there are two ways to record video. First, you can hold down the shutter button, and it will keep recording as long as you keep holding down the shutter. As soon as you release, it will stop. Second, if you want to be able to let go of the shutter, you can hold the shutter and swipe up, as though “locking” the shutter in place. It will then continue to record even if you let go of the shutter, until you press the shutter again. To turn off the Nano, you just remove it from the iPhone. After a couple of seconds, it shuts down automatically. 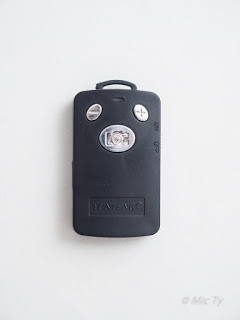 You can also manually turn it off (even while the Nano is connected) by holding down the power/shutter button until the LED flashes rapidly. – To turn the Nano on, you just hold down the power/shutter button. – To take a photo, you just press the shutter button. – To take a video, you double click the shutter button (don’t hold it down). – To stop recording the video, you press the shutter button. – To turn off the Nano, you hold down the power/shutter button again, until the LED light flashes rapidly. If you let go before the light flashes, then you’ll end up just taking a photo. Please note, however, that when using the Nano without a smartphone, the automatic vertical orientation does not work. If you don’t normally use a case for your iPhone, attaching the Nano to the iPhone is easy and very convenient. You just take it out of its bag or case, plug it in your phone, and in a few seconds, you’re ready to shoot. If you have a smartphone case, as I do, it can become a chore, depending on how hard it is to remove your smartphone case. I usually use the Nano by itself (in my case, I am already accustomed to visualizing the result in 360). I do attach the Nano to the iPhone to view or share my photos, or to capture higher quality shots where I use a tripod and a remote shutter (see Accessories below), or for livestreaming (see Livestreaming below). Whether attached to a phone or used by itself, the Nano is simple and convenient to use. It’s very dependable and predictable, doing pretty much what it is designed to do, not freezing up or acting strange. The only thing I need to worry about is keeping the lens clean, because it is easy to get fingerprints on it, and the included pouch doesn’t absorb oil. Instead, I use a small Lenspen to absorb the oil and clean the lens. One advantage of the Nano is that because it is small, people tend to ignore it, even when used with a smartphone. This helps to get a more candid reaction than when using a camera such as the Samsung Gear 360. – Startup time takes about 6.5 seconds (from the time the power button is pressed or the time the Nano is plugged in the iPhone, to the time it is ready for capture). – Shutdown time: about 2 seconds (from the time the power button is first held down until the Nano shuts off). – Shutter lag: about 1.45 seconds (from the time you press the shutter to the time of capture). It’s long enough that before I was aware of it, I would usually put the camera down before the shot was taken, resulting in a missed shot. It’s good to count 2 seconds in your head as you hold the camera in position, before putting it down. Battery life depends on whether you’re using it with the app or not. If you’re using the Nano with the iPhone, the battery drains approximately 1% per 1 minute of live view (or recording video), and the camera becomes very warm. 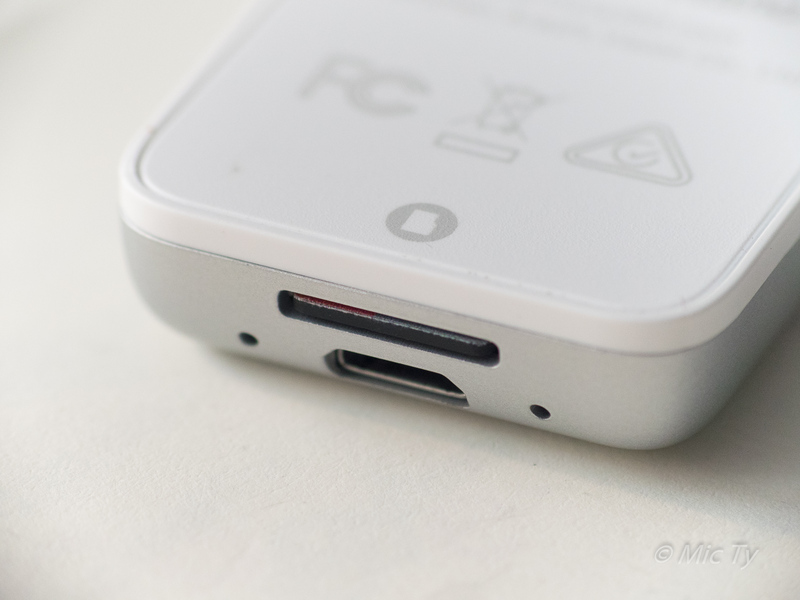 If you’re using the Nano by itself, the battery lasts longer, especially if you’re just taking photos and not videos. There are several accessories that can make the Nano more versatile. 1. 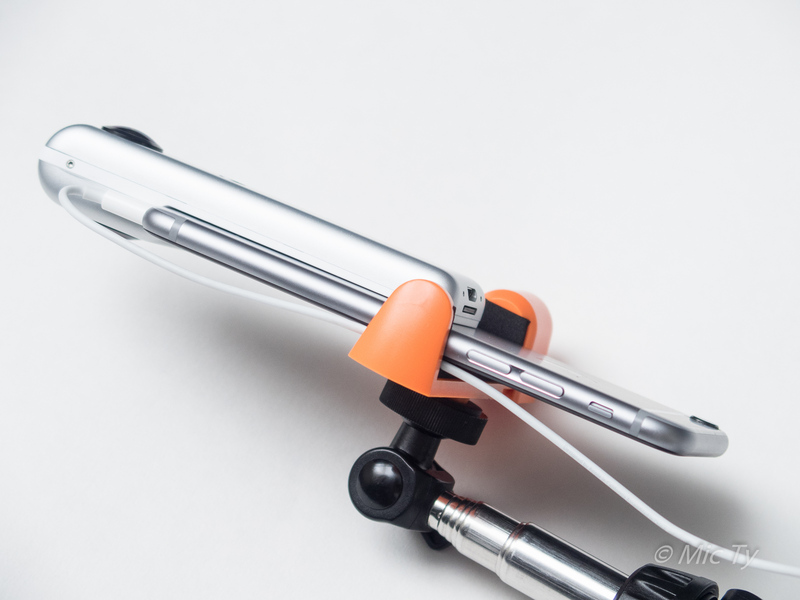 Smartphone holder and selfie stick tripod. A selfie stick / tripod is a very useful accessory for 360 photos and videos because it can help move your hand away from the camera so that you can avoid the “giant thumbs” look. However, one challenge when using the Nano is that it’s not easy to mount it on a selfie stick, monopod, lightstand or tripod. Insta360 said they will release an adapter with a standard 1/4-20 attachment in August. Until then, I’ve been able to use it with a selfie stick or monopod by attaching the Nano to an iPhone, then using a smartphone holder. It can be trickier than it seems to use a smartphone holder because the Nano extends to the middle of the phone. The best kind of smartphone holder that I’ve found for the Nano is a smartphone holder with a 1/4-20 tripod insert behind it for vertical orientation. This will position the tripod attachment closer to the middle of the phone for better balance. I got the orange one from Daiso, and it’s only $1.50 (with a small tripod). The other one is branded Vastar, from Amazon and costs more. The Daiso has some advantages: it costs less, and because it’s narrower, it’s easier to position it without pressing the buttons. Indeed, if you don’t mind positioning it lower (and off the center of gravity), it is narrow enough to somewhat allow the phone to be placed with the screen facing out, unobstructed by the smartphone holder, and still avoid pressing down the buttons. – It’s black. It less conspicuous in the shot. 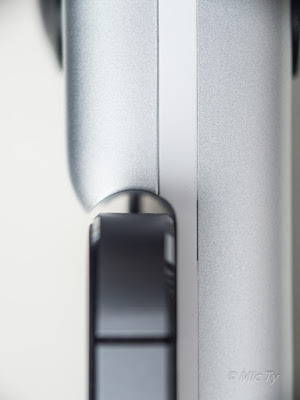 – It has a much tighter grip on the phone because of a stronger spring. – It has a raised lip to prevent the phone from being falling off the open side. – It has ribs to increase friction and make it harder for the phone to slide off. 2. Remote shutter with Bluetooth remote or earpods. Although the Nano doesn’t have a self-timer yet, you can still trigger the shutter remotely for photos using an ordinary Bluetooth remote shutter, as long as the Nano is connected to your iPhone. This works for photos but not videos, but that’s ok because on videos, I can always trim the beginning of the video where I’m pressing a button. If you don’t have a Bluetooth remote with you, you can also use the volume controls on earbuds as a wired remote (for best results, you should pass the wire along the side of the phone). You can use the Nano underwater by using a waterproof smartphone pouch. 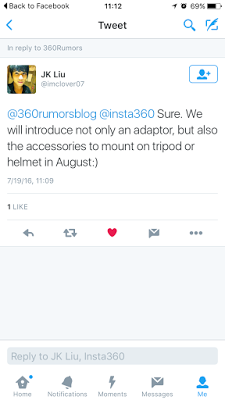 Insta360 said they will have an adapter that allows the Nano to be used on helmets. Their promo video showed a preview of the attachment. 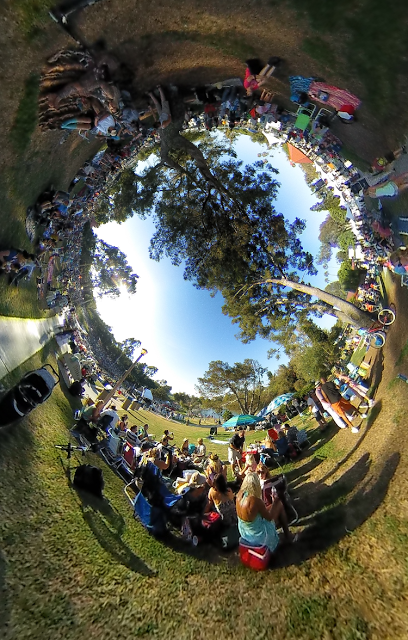 – little planet view (this view can also be inverted to a rabbit hole view or adjusted in any other way). – you can also select whether to view with the regular display, or the VR (Google Cardboard) view. – You can also switch between swiping your finger or navigating with your phone’s gyro for a ‘magic window’ / VR window view. You can also toggle horizon correction or off, in real time. That’s a seriously cool feature I have never seen before. A couple of notes: 1. Vertical orientation is only for photos, and only if you used the Nano with the iPhone, as opposed to shooting with the Nano by itself. 2. This toggle does not affect the separate toggle for horizon correction during exporting – see below under sharing. The viewer in the app works very well, with no lag, and thus far it hasn’t crashed yet (unlike the crash-prone Theta+ app). I also appreciate the number of ways the image can be viewed. 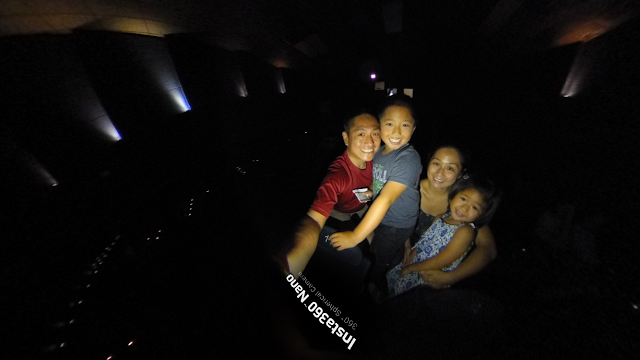 On other apps, you get either a fisheye view (e.g. 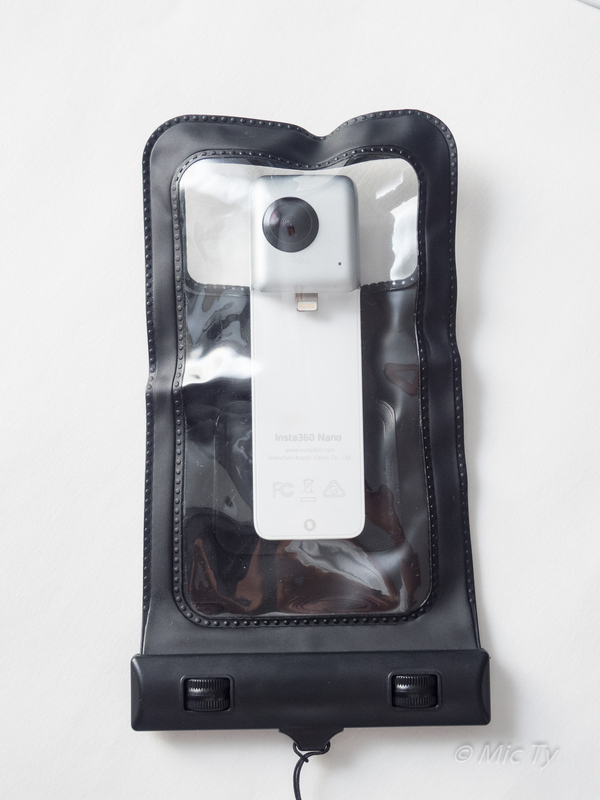 Ricoh Theta’s app) or rectilinear view (e.g. Spinnable app or Kuula.co) but seldom both. One unusual aspect of the Nano is that there is no exposure metadata. The aperture is fixed at f/2 so that’s known. But I don’t know the shutter speed or ISO for any photo or video. Also, for some reason the metadata identifies the camera as a “Ricoh Theta S”. I suspect Insta360 did this to help let Facebook recognize the photo as a 360 photo. If you take photos while the Nano is connected to the phone, the app will store a copy of the photo in the cache. If you took photos without being connected to the phone, the photo will not be automatically copied to the cache until you manually sync the photos or if you turn on the “Auto Sync” option. I like the fact that the app has a button for clearing the cache. On some 360 apps I’ve used, the cache kept growing into gigabytes, and I had to delete and reinstall the app to regain the space. 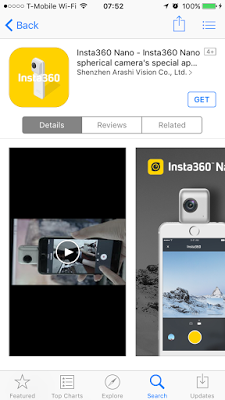 In the original version of the Nano app, all photos and videos were watermarked with the Insta360 Nano logo. However, in version 1.2 of the app, the logo is now optional, and if you do include it, it can also be changed from a black logo to a white logo, or to the Insta360 mascot. The logo can be useful for hiding the tripod, or giant thumbs/fingers. With v 1.2 of the Nano app, you can change the perspective of the photo or video (e.g. 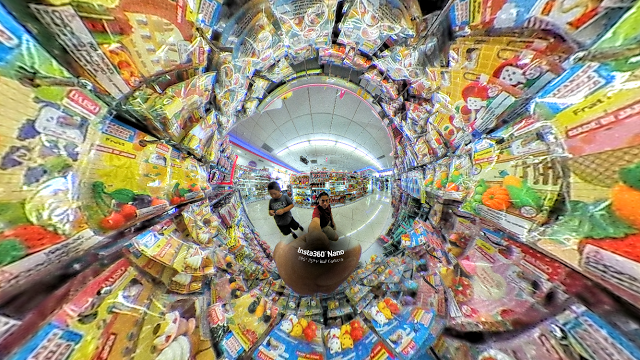 little planet or rabbit hole), then take a snapshot of the current perspective to export it to your camera roll. The snapshot function works for videos as well, although it will only export a still of the video as a JPG. Other than the snapshot feature, the Nano app does not have built-in tools for adjusting photos or videos. To edit photos and videos on your phone, you need to export them to the Camera Roll then use a third party app to edit them. You can also edit on your desktop using the free Insta360 Studio software (Windows or Mac) to convert the photos from INSP and INSV to JPG and MP4, then use third party software to edit them. You can also use Insta360 Studio to transform videos from one perspective to another. The key benefit of the Nano is that it makes it easy to share photos and videos, at least in theory. In that regard, it works very well for YouTube. For other platforms, sharing is slightly more convenient than other 360 cameras. Videos can be shared to Facebook, Facebook Messenger, Twitter or YouTube. YouTube: I’m glad YouTube sharing on the Nano works as easily as I would like. No mess, no fuss. Just hit the share button, add a description, then allow the app to do all the work of compressing, uploading. 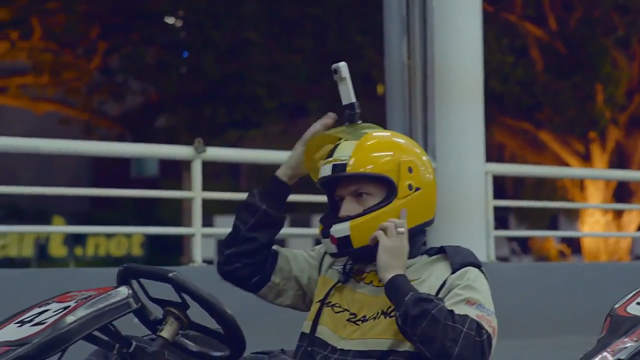 A few minutes later, your 360-degree video is ready on YouTube. (As with any other 360 upload to YouTube, the video will first be shown in low resolution 360p, but if you wait a while, it will be shown in its full resolution). Facebook: Sharing a video to Facebook takes an extra step. When you tap on share to Facebook, it will export the video to your Camera Roll, then it will prompt you to post the video to Facebook yourself. Facebook Messenger: when you share to Facebook Messenger, the app uploads the video to the Insta360 cloud then posts a link in Messenger. It’s a convenient one-step process, but the uploaded video is limited to 720p. Twitter: I have not yet been able to successfully share videos to Twitter. I get the error “unauthorized sharing platform.” I suspect that it also uploads the video to the Insta360 cloud, but Twitter blocks the link. I thought at first that I clicked on the wrong link, but nope. Where’s the 360 image? Well, it’s right there on the screen of the “iPhone”. It’s an interactive 360 image, which is a clever idea (you can even click on the virtual “buttons” to switch to VR view), but this blatantly self-serving presentation is embarrassing, to be honest – not something I’d want to share with my Facebook friends. Here’s a sample. It is possible to right click the screen and select fullscreen view, devoid of ads. However, it would have been much better if that was the default option. Even a small logo in the corner would have been ok.
Fortunately, you can share to Facebook with Facebook’s native 360 photo viewing mode. To do that, you need to export the 360 photo to the camera roll as an equirectangular image (see Exporting below) then post that equirectangular image to Facebook. If you do that, Facebook automatically recognizes the image as a 360 photo. For sharing on other apps or sites such as Spinnable or Kuula, you need to export the photo or video to the Camera Roll. When you take photos or videos with the Nano, it appears that the images are stored somewhere on the phone where they cannot be viewed by other apps (or by connecting the phone to a PC) until you export the photo or video to the Camera Roll. (However, the photo can be viewed or shared within the app even without first exporting them to the Camera Roll.) When you export the photos or videos to the Camera Roll, they will be in standard equirectangular format, in jpg and mp4 respectively. I haven’t tested the Nano completely yet, but so far the image quality looks about as good as I would expect for a casual use 360 camera. 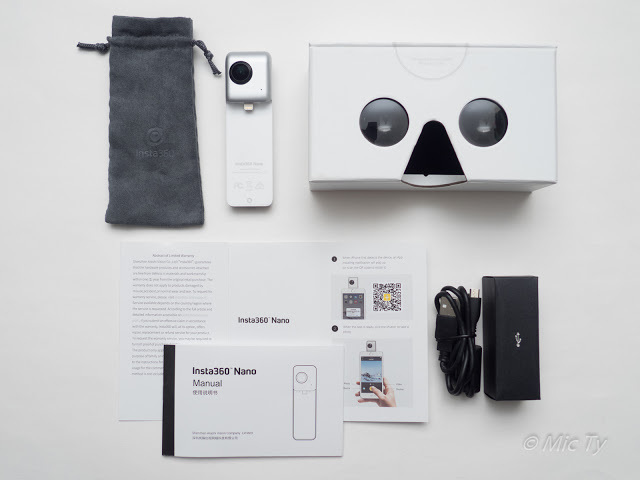 – The image is reasonably detailed, although is not as detailed as that of the Ricoh Theta S ($349), or the Samsung Gear 360 ($349), which, to be fair, cost almost twice as much as the Insta360 Nano ($199). It would be interesting to see how they compare with the LG 360 Cam ($199). – The photo resolution is only 3040 x 1520 (around 4.5mp) but the image looks more detailed than the resolution would suggest. However, because of the limited resolution, zooming in the photo won’t show any additional detail. – Stitching is quite good, no doubt due in part to the close distance between its lenses which reduces parallax stitching errors. The stitching can also be re-calibrated in the app, although I haven’t had the need to do that. Insta360 says recalibration may be required if the Nano is subjected to a strong impact. – The Nano seems to have better edge to edge sharpness than the Theta (consistency of sharpness across the field of view), with a narrower range at the edge of the lens where the image quality suddenly drops, although in this respect it is not as good as that of the Samsung Gear 360. – The image appears over-sharpened, with sharpening artifacts visible. However, most casual users will probably not mind. – There’s serious chromatic aberration at the edges of the lens, but otherwise, aberration is a little more controlled than on the Theta. – Flare resistance is excellent as long as you keep the lens clean. It is not totally immune to flare — if one lens is facing the sun directly, there will be a slight decrease in contrast in that side compared to the other side (the same is true for other 360 cameras I’ve tried). However, I have rarely seen lens flare artifacts in real world photos. It’s the best flare resistance I’ve seen among my 360 cameras, as long as I make sure there are no fingerprints on the lens. – The white balance is sometimes inaccurate but performs adequately in common situations. – When the white balance works, the colors are generally good, although in bright light, some reds can appear oversaturated. – Contrast is a little high for my taste (I prefer a flatter starting image then adjust the contrast myself), although it makes it look better “straight out of the camera” without editing. – Dynamic range is pretty good for a casual camera. Here’s a “torture test” shot. It’s one of the few photos I have with lens flare (crescent-shaped, near the palm trees). Despite the strong contrast in the light, the Nano was able to preserve details in both highlights (such as the sunlit skin of my daughter) and shadows. There’s some chromatic aberration/fringing noticeable in the palm trees. Stitching looks pretty good except for one of the sunlit benches and some of the palm trees (my hand has parallax stitching error, but that’s to be expected). There’s some noise but there’s still a lot of detail, and reasonably good color even in low light. In addition, when the Nano is attached to an iPhone, you can use your smartphone’s LED light to keep subjects adequately illuminated. The Nano’s video has good levels of detail. I think the 3k video resolution is excellent for a VR window on a smartphone. Here is a sample 360 video (uploaded to YouTube). I converted three video clips to mp4 using Insta360 Studio. I then used a third party software (ActionDirector) to combine the clips. In my opinion, the video resolution is passable for viewing on a VR headset such as Google Cardboard or Samsung Gear VR, which is much more demanding because everything is seen up close. In low light, the Nano performed better than I expected. 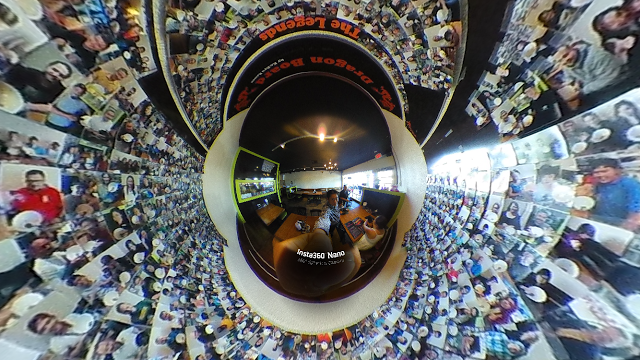 Here is a 360 video sample with indoor light (showing an interesting automated ordering system at a sushi bar called Kula ^_^ ). Here is a sample at early evening. The noise looks well controlled, and there is still decent levels of detail and color even in low light.Update: here is a video quality comparison between the Theta, Insta360 Nano, and Gear 360. Overall, I would say the photo and video quality are both pretty good for casual use. The primary limitation is the photo resolution, but that will not be an issue for casual users. One of the features of the Nano is its livestreaming capability. I tested the livestream and there’s good news and bad news. The good news is that it does not require a PC. You can stream wirelessly on nothing but your cell signal. All you need to specify is the server URL. You can stream from anywhere in theory. 1. You can stream to YouTube using the Live Now option. Just go to the YouTube Creator Studio, choose live streaming on the left column, and then choose Live now. You’ll get a URL and a stream name. Put the URL/stream name in the Insta360 app (under settings, Live). Then you press the Live button on the app. That’s it. This will stream to YouTube anytime you go Live on the app. Unfortunately, with this option, YouTube will only show the equirectangular view. There is currently no checkbox to stream in 360. Hopefully, YouTube will fix this. 2. To stream in 360 on YouTube, you need to schedule a Live Event. Go to the YouTube Creator Studio, choose live streaming on the left column, and then choose Schedule a Live Event. In the advanced settings, you can check the box for 360. The tricky part is that you’ll have to schedule the event. In addition, someone has to click on “start the live stream” on the Creator Studio from a desktop. Unfortunately, the mobile version of the site won’t let you do that. If you don’t have a friend helping you to live stream, the live stream won’t work. Again, this is a YouTube issue, not an issue with Insta360 or the Nano. 3. 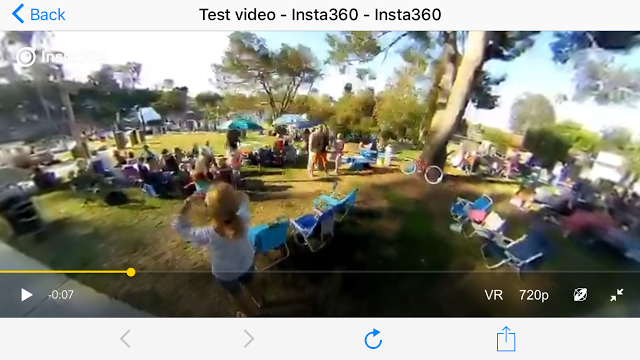 Insta360 has their own live streaming service in Beta. But you need a special access code and I don’t have one. If you did get a special access code, then all you have to do is plug it in the app, and presumably you could livestream easily, just like the Live Now option. I haven’t tried other livestreaming services. When the livestream works, you should have a URL that you can share for people to see your stream. The app allows a livestream up to 1440p at 30fps. In the real world, I have been getting 720p at around 19-21fps (with a 12mbps cellphone connection speed). That’s with a tripod. When I’m moving around, the framerate drops. That resolution and framerate is not high enough for viewing on a headset, but it works for a VR window.I’ll try to post a livestream example. Here is my assessment of the Nano’s strengths and weaknesses. 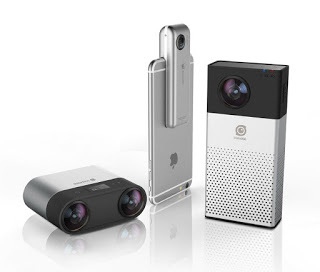 The Nano is an innovative concept that works well as a 360-degree camera for casual users. 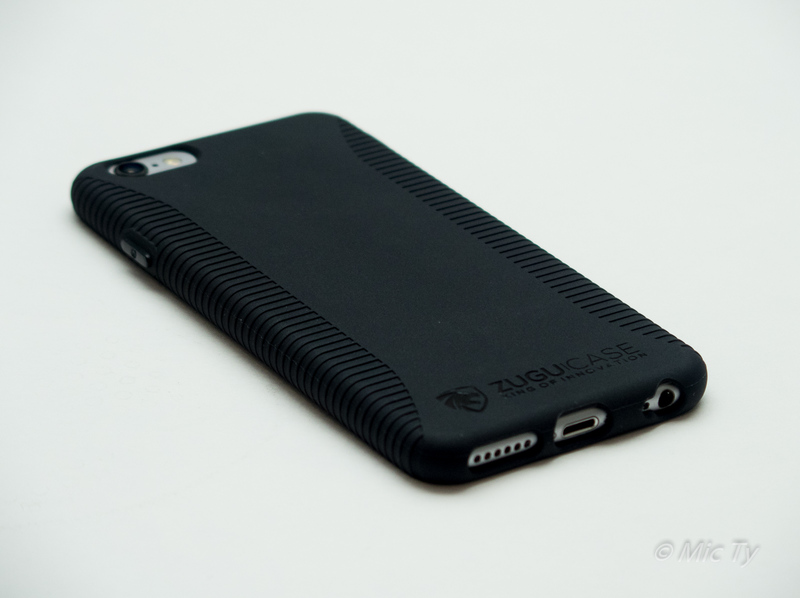 It is portable, easy to use, works flawlessly with the iPhone, and is affordable. The image quality is pretty good for casual use, even in more difficult situations such as low light. The Nano has some issues such as having no self-timer and no tripod adapter. 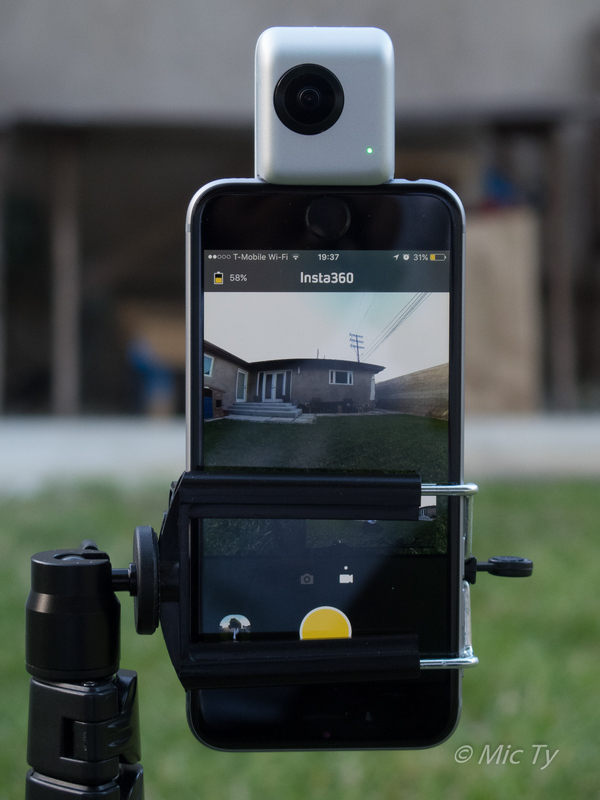 Fortunately, these can be remedied and more importantly, Insta360 has shown that it is responsive to customers, and has said they would address these issues. 1. Allow saving multiple photos and videos to camera roll simultaneously instead of one by one. 2. Add exposure control (exposure compensation, iso, shutter speed) and white balance. 3. Allow formatting of sd card. 4. Make live stream easier. 5. Allow user to turn off live preview while using the phone. This will save battery life especially when recording a long time. A user might still use the phone to be able to trigger remotely with bluetooth shutter. 6. Allow option to use the camera in landscape mode. 7. Add a function in the app to update firmware. 8. Allow camera to be powered by USB charger while recording, for longer recording time. + 3k video is much more detailed than the Theta’s 960p video. + almost half the cost of the Theta. + more convenient viewing and sharing: just plug it in your phone. The Theta’s wireless connection sometimes doesn’t work. 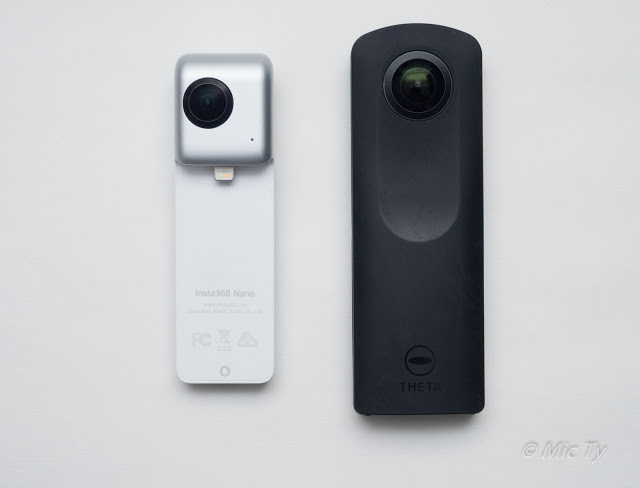 – The Theta’s photos are much more detailed than the Nano. – The Theta has exposure controls. – The Theta is compatible with both iOS and Android. Nano is compatible only with iPhone 6 (iPhone 5 TBA). – Nano has no self-timer yet. + almost half the cost of the Gear 360. + has much better flare resistance. Gear 360 is prone to flare. + wireless livestreaming (Gear 360 has no livestreaming yet). o Nano is compatible only with iPhone 6 series (iPhone 5 series compatibility TBA); Gear 360 is compatible only with the latest high-end Samsung phones. 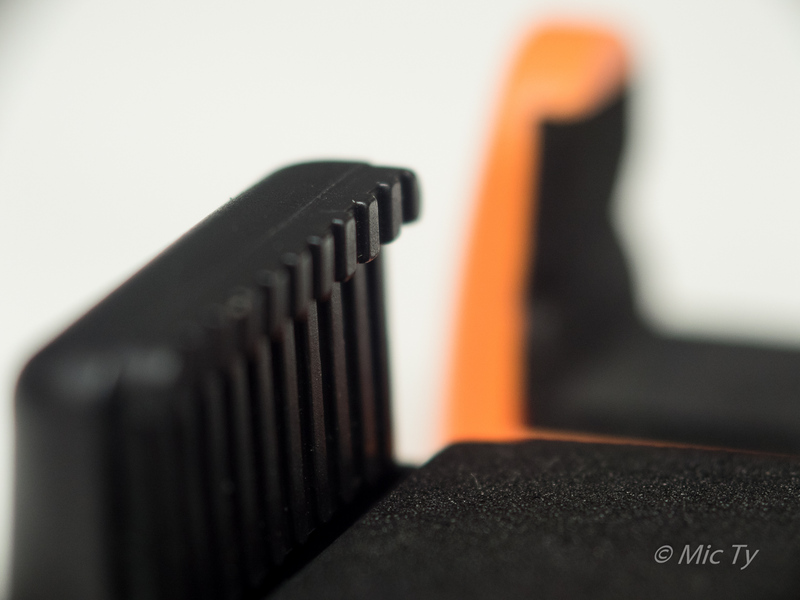 – Nano has no tripod adapter yet (although you can use a smartphone holder). I haven’t used the LG 360 Cam yet but my impressions from samples are that the LG 360 Cam has better photo quality, while the Insta360 Nano has better video quality. The Nano may have better low light performance, which several LG 360 Cam users have complained about. The other factor is whether you’re using Android or iPhone. If you use Android, the LG 360 Cam would probably be a better choice because you would be able to view and share photos on your phone readily. 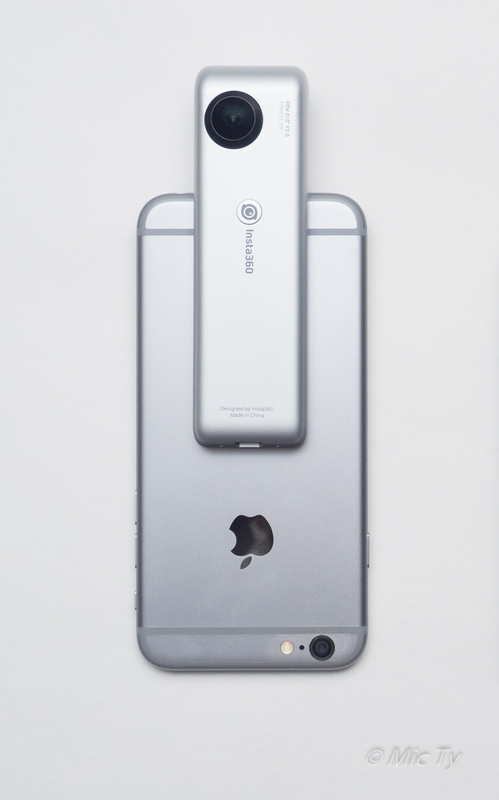 If you use iPhone 6, the Nano would probably be more convenient. Lastly, the Nano has wireless livestreaming whereas the LG 360 Cam doesn’t. If you would like to get a Nano, please consider buying it through this link to Amazon, to support 360Rumors.com at no additional cost to you, which enables us to do further testing on the Nano and other 360 cameras. Thank you very much. Thank you for a very details review. It's very informative. What Equipment Do You Need to Shoot Panoramas for Virtual Tours?